Wooden pallets? or plastic pallets? They both have advantages. 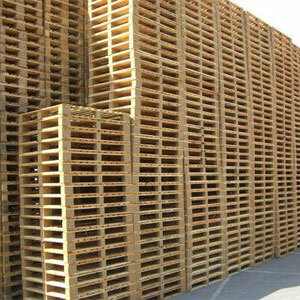 Wooden pallets being cheaper, are also repairable, recyclable, and environmentally friendly. As a preferred vendor, our newly designed wooden pallet facility is capable of handling any size production orders ranging from low to high volume demands. Based on our quality standards and overall purchasing power, this has positioned us a larger volume user of import timbers, dimensional lumber and pre-cut pallet stock which allows us to pass down industry savings to our customers, making us the leading supplier for your pallet manufacturing and wood product needs.